Six airmen assigned to Air Force Special Operations Command were awarded the Distinguished Flying Cross during a ceremony at Hurlburt Field, Florida, on Tuesday. The DFCs were awarded to an MC-130J Commando II crew, call-sign ARSON 69, for their actions over a 16-hour mission on Jan. 28, 2017. The crew’s operation included responding to a critical MV-22 Osprey mishap, assisting a casualty evacuation of nine service members, and enabling the recovery of critical intelligence materials, an AFSOC official told Air Force Times. The official would not specify which MV-22 Osprey mishap the airmen responded to, due to operational security concerns. However, the date and length of the mission matches up with an ill-fated raid in Yemen two years ago. The raid on Jan. 29, 2017, against an al-Qaida compound, resulted in the death of one Navy SEAL and the loss of an MV-22 Osprey. Pentagon officials said they recovered a trove of intelligence documents from the raid and killed 14 alleged militants. At the time of the mission, the six airmen were assigned to the 67th Special Operations Squadron at Royal Air Force Mildenhall, England, the AFSOC official said. They flew from England to the area of operations. In a statement announcing the awards, AFSOC said the airmen were supporting Operation Inherent Resolve — the U.S.-led coalition to defeat the Islamic State of Iraq and Syria. Epperson would not say which country the MC-130J crew flew to or where they landed. However, the SEAL killed in the Jan. 29 Yemen raid is officially listed as killed during U.S. Central Command operations, not Inherent Resolve. Epperson did confirm that the MC-130J crew brought 27 individuals to an austere, “likely unpaved” airfield and refueled 25 aircraft at a forward air refueling point. 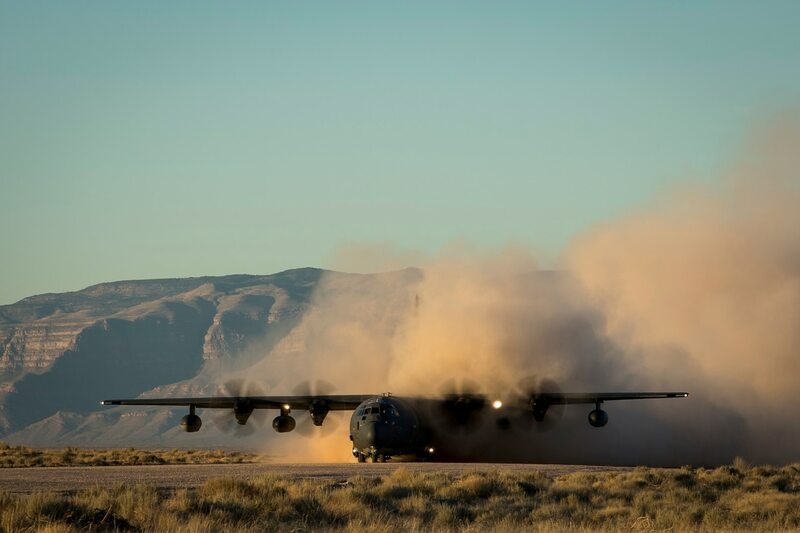 The 67th SOS, to which the MC-130J belonged, is part of the 352nd Special Operations Wing, which also includes the 321st Special Tactics Squadron — a collection of combat control and pararescue airmen who can establish long-range forward airfields. “The entire time, they were under the threat of ground attack," Epperson said, adding that the crew flew into denied airspace amidst enemy artillery threats. AFSOC said in its press release that the airmen also dealt with a damaged refueling hose during the operation in which they provided 64,000 pounds of fuel to other aircraft. The mission involved multiple joint partners from all four services and went beyond the crew’s planned timelines, meaning it would have likely bridged the dates of Jan. 28 and Jan. 29. “For 16 hours, in the face of multiple aircraft breaking down and deteriorating weather, in the face of constantly changing plans, ARSON 69’s tenacity, flexibility and determination made a difference,” Webb said. The crew of ARSON 69 awarded in the ceremony included Maj. Ross Biechler, aircraft commander; Capt. Justin Nadal, aircraft co-pilot; Maj. Mary Spafford, combat systems officer; Tech. Sgt. Adam Phelan, evaluator load master; Tech. Sgt. Samuel Haydon, evaluator load master; and Staff Sgt. Christopher Jones, instructor load master.